Word broke earlier today that Paramount Pictures had set release dates for three more Transformers movies set to roll out annually beginning in June 2017. It was initially reported that these films would be the fifth, sixth, and seventh entries in the franchise, but new details have emerged regarding the blueprint of the Transformers films moving forward and reveal that, though there will be seven movies, one of them is in fact a spin-off. 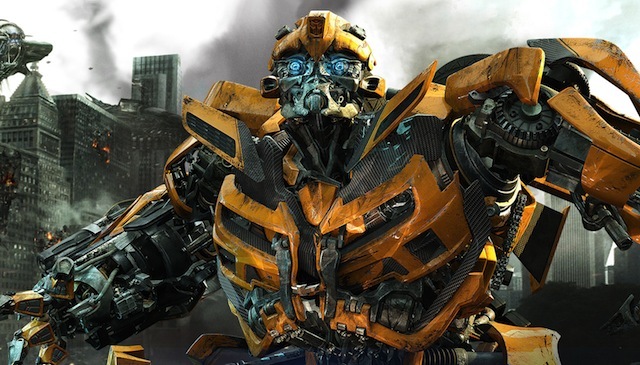 Speaking on an investor conference call for Toy Fair, Tom Warner, the Transformers franchise leader for Hasbro, revealed that the announced 2018 film is not Transformers 6 but actually a spin-off film focusing on the character Bumblebee, with Transformers 6 actually being the 2019 release. The Bumblebee spin-off is currently set to debut in theaters on June 8, 2018, where it will clash with Legendary’s Godzilla sequel. There are currently no details on who will write or direct the film. The voiceless member of the Autobots, Bumblebee has become a fan favorite since his debut in the 2007 Transformers film with initial reports on a film of his own popping up last year. Transformers 5, featuring a script by Iron Man scribes Art Marcum & Matt Holloway and Ken Nolan (Black Hawk Down), will be directed once again by Michael Bay and is set to crash into theaters on June 23, 2017, where it will open against Warner Bros.’ upcoming Wonder Woman movie. Mark Wahlberg has also confirmed he will return for the film. What do you think of a Bumblebee spin-off film? Sound off in the comments below!